The British government has defended its use of an advisor who, by endorsing a radical cleric, supported the execution of Christian mother Asia Bibi. What did the advisor say? In 2017, Communities Department advisor Qari Asim penned a Facebook post that demonstrated his solidarity with radical cleric Khadim Rizvi. Rivzi is the founding chairman of the Tehreek-e-Labbaik Pakistan, a fanatical Islamic political party that called for Bibi to be hung, even after she was acquitted of bogus blasphemy charges. 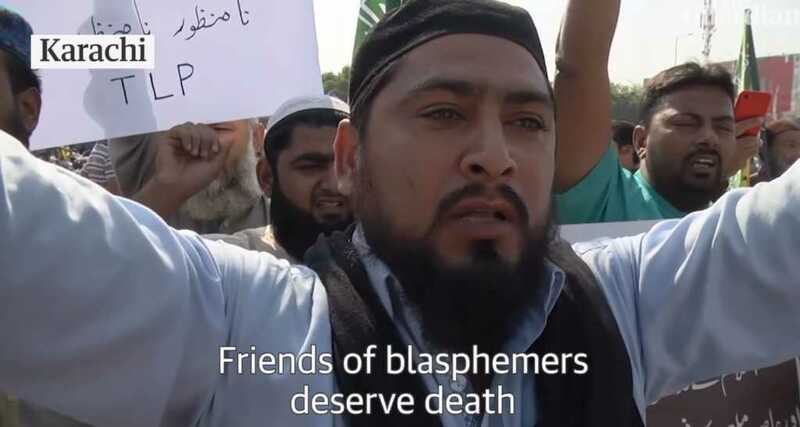 After Bibi’s acquittal in October, thousands of radical islamists took to the streets of Pakistan and demanded that the mother-of-five be put to death. During the period, Asim described the protesters as “peaceful demonstrators,” and noted that they had a “democratic right to ask the government to expose people who have tried to amend the constitution” — presumably referring to the Supreme Court judges who threw out Bibi’s conviction on the country’s archaic blasphemy laws. Asim is involved with the Communities Department’s Working Group on Anti-Muslim Hatred, advising the government on how to tackle Islamophobia. The UK government has been widely criticized for its handling of an asylum request filed by Asia Bibi and her family, with some claiming that Prime Minister Theresa May personally blocked the application because she feared reprisals from the British Muslim community. Bibi remains holed up at an undisclosed location the port city of Karachi, despite being acquitted by the Pakistan Supreme Court last October. While her husband is with her, Bibi’s children now reside in Canada after being granted asylum. However, in the Supreme Court’s final judgment, it declared that the two sisters who accused Bibi “had no regard for the truth,” before adding that “the said semi-literate young sisters had a reason to level allegations against the appellant which could be untrue.” The landmark judgment also noted that the prosecution’s presented evidence “was nothing short of concoction incarnate.” According to the highest court in Pakistan, the entire case against Bibi was built on lies.